It's impossible to have a conversation about the internet of things without the topic of security popping up, and it's easy to understand why. These disparate connected devices come from a variety of vendors, use a number of different connectivity options and come with few protections, if any. Plus, they're often deployed across a vast landscape -- sometimes without the knowledge of IT security teams. 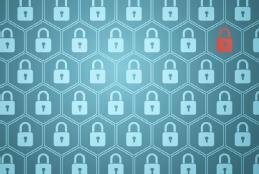 If your company hasn't added IoT into its security strategy yet, what's it waiting for? By 2025, Statista expects organizations to deploy more than 75 billion IoT devices worldwide, more than triple the 23 billion deployed in 2018. Your enterprise may not have adopted IoT yet, but chances are some IoT devices are connecting to your network. With the good of a connected enterprise comes a plethora of IoT security issues -- some that may be new to your security team and some that, while familiar, may require a different approach in an IoT context. And while many security methods may be tried-and-true, there are some new IoT-specific tools your company should perhaps consider. Read along as we explore how digital twins, a critical component of IoT systems today, can help secure IoT systems. Though they also present their own IoT security issues. Then, familiarize yourself with two of the top IoT security challenges and the security mechanisms enterprises should put in place to combat them. Finally, learn how public key infrastructure provides the security trifecta -- integrity, authentication and encryption -- that every IoT ecosystem should strive for.